the role of the Global Forum’s peer review process. This book is sure to help tax advisers, company counsel, and other professionals involved in international business to manage cross-border arrangements under current exchange of information rules. Part I General Overview and Relation Between Tax and Criminal Proceedings . Chapter 1 Information Exchange in Tax Matters: Luxembourg’s New Tax Policy Alain Steichen. 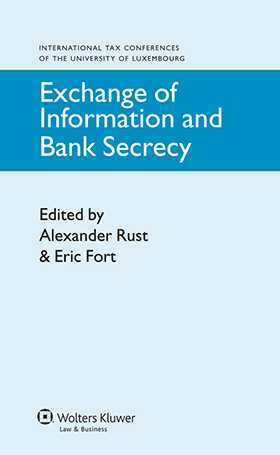 Chapter 2 European Criminal Law and the Exchange of Tax Information: Consequences for Luxembourg’s Bank Secrecy Law Stefan Braum & Valentina Covolo. Part II EU and OECD Developments. Chapter 3 Savings Taxation and Banking Secrecy Jens Schröder. Chapter 4 The Mutual Assistance Directives Klaus-Dieter Drüen. Chapter 5 Development of the International Information Exchange and Domestic Implementation Eric Fort, Paul Hondius & Jan Neugebauer. Chapter 6 2011: The Year of Implementation of the Standards? Philippe Malherbe & Marjolein Beynsberger. Part III Country Surveys: Implementation in France, Germany and Switzerland . Chapter 7 Exchange of Information: The French Perspective Franck Le Mentec. Chapter 8 Exchange of Information: The German Perspective Ernst Czakert. Chapter 9 Exchange of Information: The Swiss Perspective Martin Hess . Chapter 10 Data Protection as a Fundamental Right Alexander Rust. 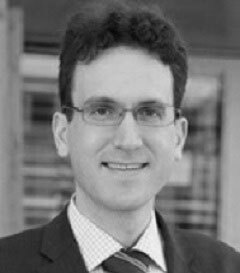 Chapter 11 The Exchange of Information Procedure According to Double Tax Conventions: The Swiss Approach or How Taxpayer Rights Are Protected under Swiss Procedural Rules Oliver Untersander. Chapter 12 Legal Protection against the Transfer of Information (Luxembourg) Jean-Pierre Winandy.